This article will be updated as the situation develops. 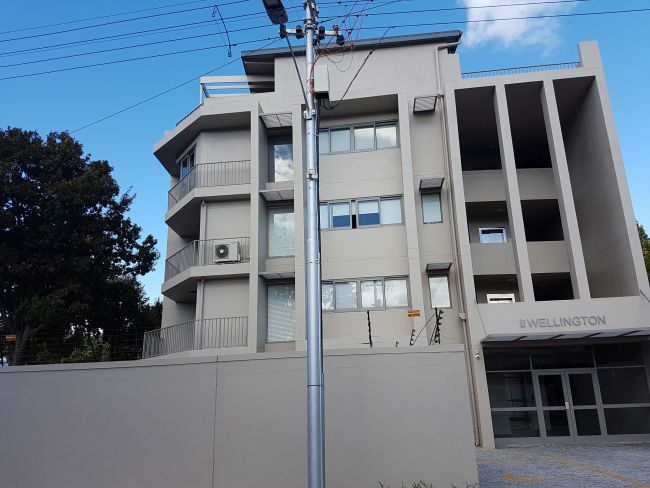 Over the past year or two, Wynberg residents have noticed a number of modern three- to four storey apartment buildings mushrooming in our suburb, often on sites where cosy cottages have been nestling peacefully for many decades before. 1 Malton Road, just across the street from 21 Wellington, has also just been demolished, and a building in similar style to the Karma properties is earmarked for the erf. It is not a Karma property. 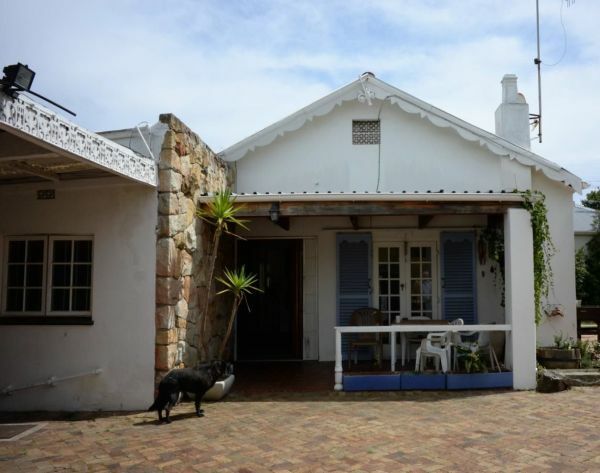 Karma has also just been granted permission by Heritage Western Cape to demolish 10 Wellington, which is closer to Maynardville and in a leafy part of Wellington Avenue that consists almost entirely of single-storey cottages. Once their proposed four-storey high-rise has been built in that part of the street, there is very little stopping the company from using it as an excuse to put up more similar buildings in the area. 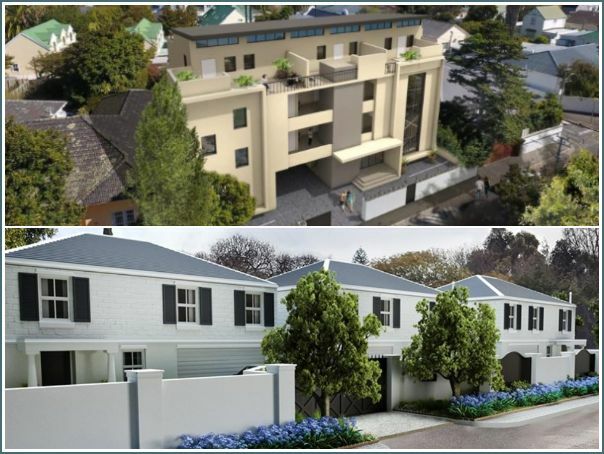 The latest properties bought by Karma is 4 and 6a Vriedenhof, which are just one cottage removed from Wellington Avenue. There is currently one building of two storeys is this street of otherwise charming cottages. Vriedenhof Road. No 4 is the house with the awnings. However, some of the houses in the developers’ sights are either not that old (as is the case in Bayview) or have lost their claim to heritage protection because owners have over the decades made inappropriate additions and changes (as happened with 34 Wellington, pictured below). As a result, we are working with experts on a precinct plan to develop a strategy that can be used to approach the City of Cape Town with objections when developers submit plans for developments that have unacceptable negative impacts on the residential area. 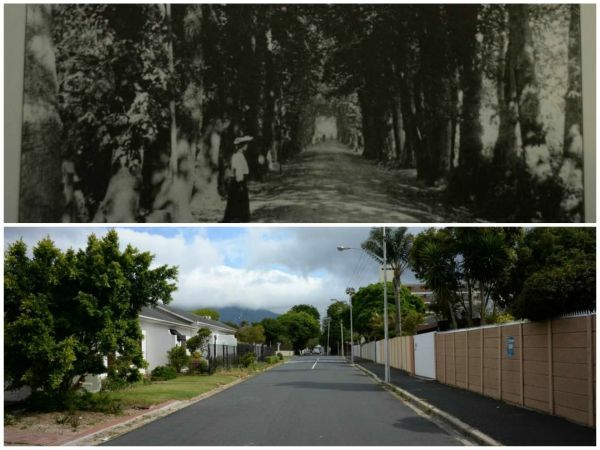 Development in Wynberg: The solution?